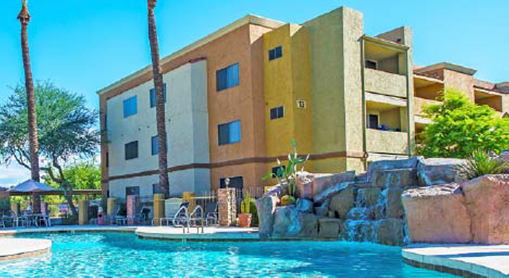 Adagio Apartments is a 208 unit property in Phoenix, Arizona. DSI's investment of $4,800,000 for the value-add multifamily renovation funded in April 2016. Vacancy in the North Phoenix/Deer Valley submarket for Q4 2015 was 5.5% compared to 5.6% in 2014. Phoenix has an unemployment rate of 5% (U.S national average of 5.5%) and is experiencing rapid employment growth with 54,600 jobs added in 2015.